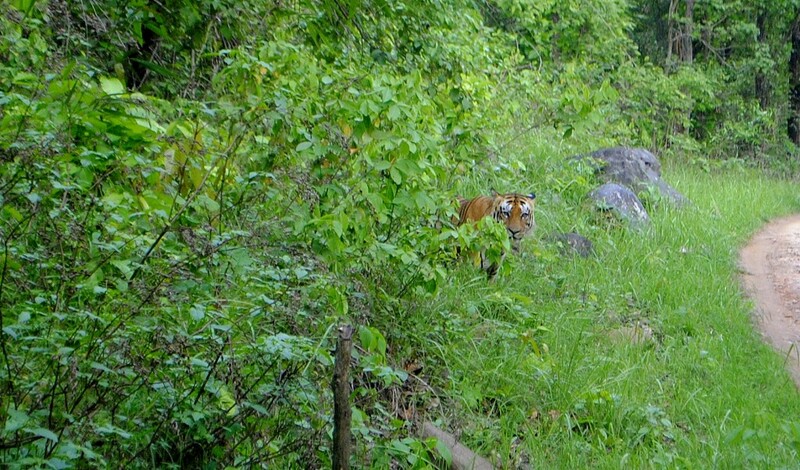 A lot of Tiger packed action, how was the last season in Kanha National Park? Looking at the last season and anticipating the building storm, it’s difficult to decide which one will turn out to be better –2014-15 was filled with exotic sightings of Munna and Link 7. With majority of females having managed to groom the next heritors the coming season definitely will have some judgment days set aside. Next season will close some famous chapters with new tigers stepping in to establish a home in the wild. If we compare it from zone to zone, 2014 has changed the dynamics of Mukki and 2015-16 will turn the dynamics of Kisli zone, undoubtedly. 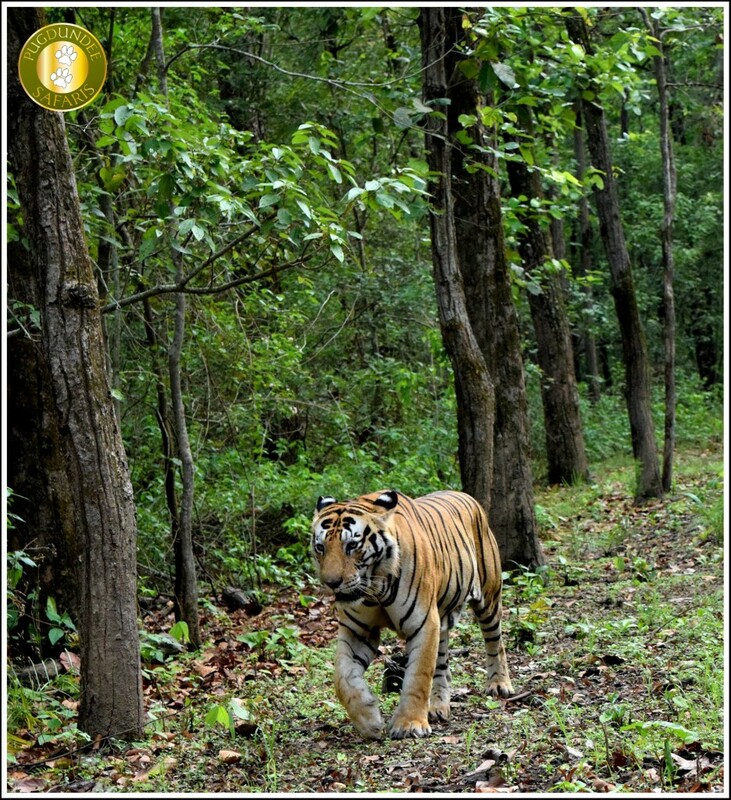 Munna is the most heavily snapped individual tiger of Kanha National Park. There are guests who return year on year to get an eyeful of this magnificent Cat. And least to say” Munna never disappoints”. The sighting on the last two days of season’s safaris can be rightfully called- the dignified closing ceremonial walk of the season from Munna. Season’s last majestic sighting of Munna near Bandri Behra, Kisli, Kanha. This year has been totally power packed with extreme number of sightings of Big Cats in both Kisli and Mukki zone. While Munna is always in the public eye, to an extent that it was sighted everyday on the last ten days before the park got closed for monsoons. The tigers of Mukki zone seemed much inspired by him, since the very opening of season 2014-15! The first Tiger was sighted marking territories on the very first day of jeep Safari in the Mukki Zone by Harpreet Dhillon. We shared this picture with you on 16th October. Years back, it was rare to sight a male Tiger in Mukki. A single dominating male -’ thin stripes’ secured a massive territory in the zone. After four years of an unchallenged domain, finally this year the three male tigers united to dethrone him. The new rulers- Link 7, Bheema, Umarpani and Kingfisher male were often-seen in their various moods. But soon after, to be the one alpha these three males eventually had spread out to define their territories by indulging into in-between territorial fights. Link 7 picked Bheema as his rival combat (sighted at Chotta patther) and Umarpani and Kingfisher decided to fight it out (one such sighting in Singarpur meadow) in the first week of January. The Link 7 male of the Mukki zone has strategically captured the central part of the zone and is sharing with the Umarpani male. With Bheema being ousted to Babathenga area, the charge of the main area of the Mukki Zone lies with the Umarpani male and Link 7 male. There have been similar fights registered between Munna and The Red Eye Tiger. The red eye tiger is in his prime and swiftly capturing more area under his feet. Munna who seems like a social animal, is not such and has been continuously indulging in victorious fights. 30th June he made a confident march clarifying his territory in the Kisli zone of Kanha. Red Eye was also sighted the same day. Kankatta also keeps his presence remembered with irregular sightings at times. The cubs of Budbudi female are growing fast, 14 months old already. The Digdola female of Kanha Zone was also sighted with Munna and later her three young cubs on rare occasions. The two cubs of Mahaveer female are being prepared to enter the war grounds in Mukki next season. Neelam- the Collared Female and Umarpani female will give new set of baby tigers to the Kanha Zone the coming season and we all will be still watchful for Munna’s future in Kanha! The Monsoons will keep us all guessing till October 1st, when the parks would open again. 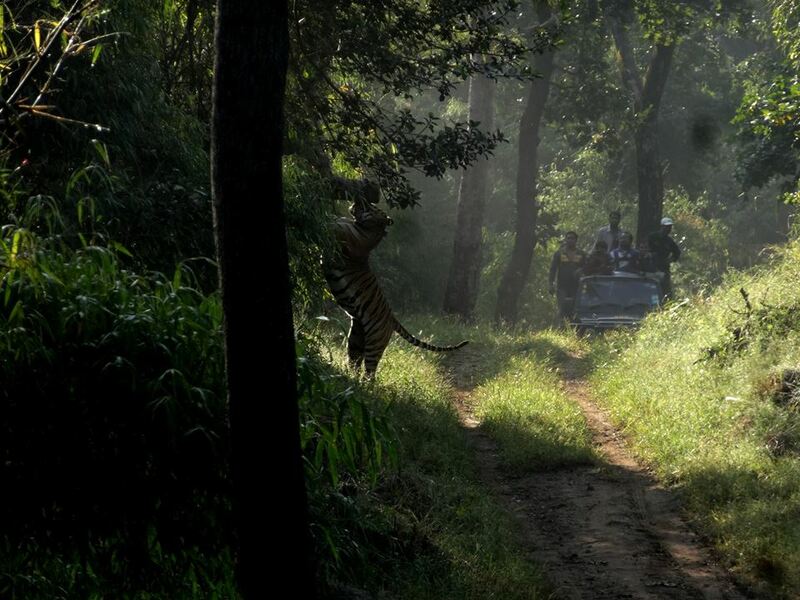 Will Munna still walk out of the bushes take the road and make a roar? Posted on July 16, 2015 by pugdundee blog. This entry was posted in Wildlife and tagged kanha national park, Tiger Munna, tigers of kanha, tigers of kanha national park, wildife safari in kanha, wildlife safari tour kanha. Bookmark the permalink.